For more free designs every day follow us on Facebook. Links to the free patterns are below. Lying Kitten Amigurumi – more photos and free crochet pattern you can find here. 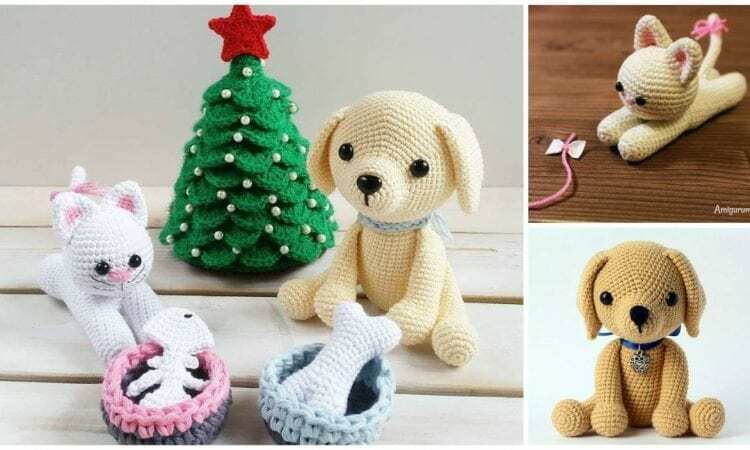 Lucky Puppy – free crochet pattern is here. Christmas tree free crochet pattern you can find here. Don’t forget to Like us on Facebook. Share your ideas and your work on our Facebook group!